Photos showing a man holding what appears to be an electric prod at the Chilliwack Fair rodeo are raising concerns from animal advocates. Photos showing a man holding what appears to be an electric prod at the Chilliwack Fair rodeo are raising concerns from the Vancouver Humane Society. The photos were taken last weekend by a photographer working for the humane society, which often documents activity at rodeos around British Columbia. 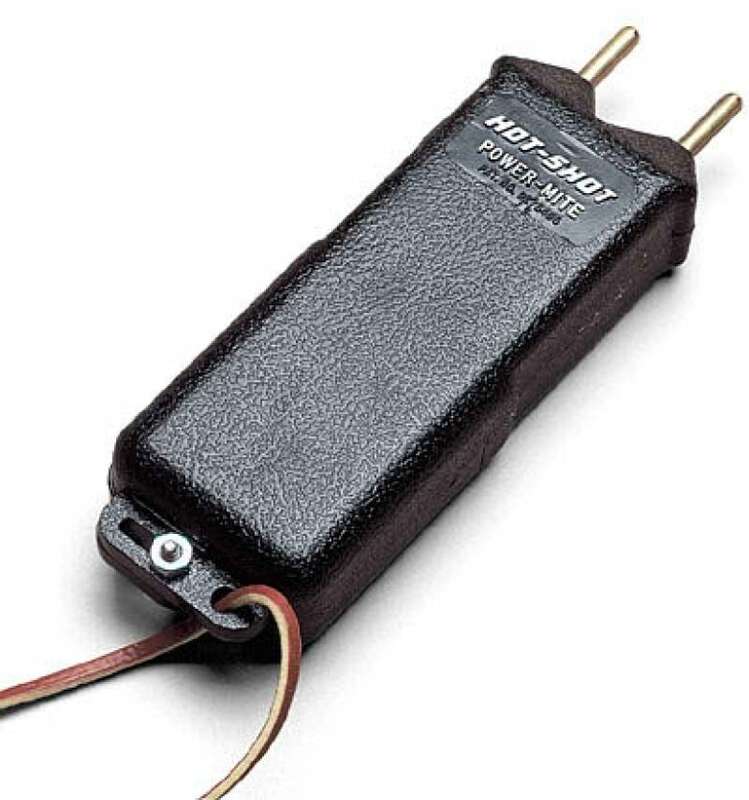 While the society expects to see animals in distress at rodeos, spokesperson Peter Fricker said no one was expecting to see an electric prod being used. "That was a complete surprise to us," Fricker said. "We haven't seen them used in a Canadian rodeo before. We've heard about their use. We've seen evidence of them in American rodeos, but this is the first time we've come across them in a rodeo in B.C." 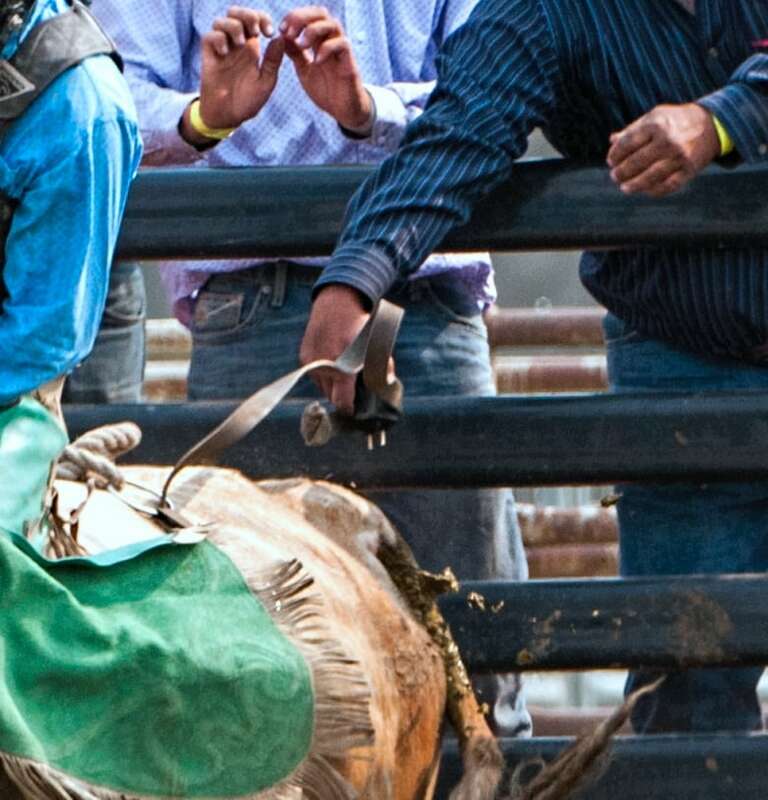 The photos were taken during the bull-riding event, moments before the bulls were released from the chute. 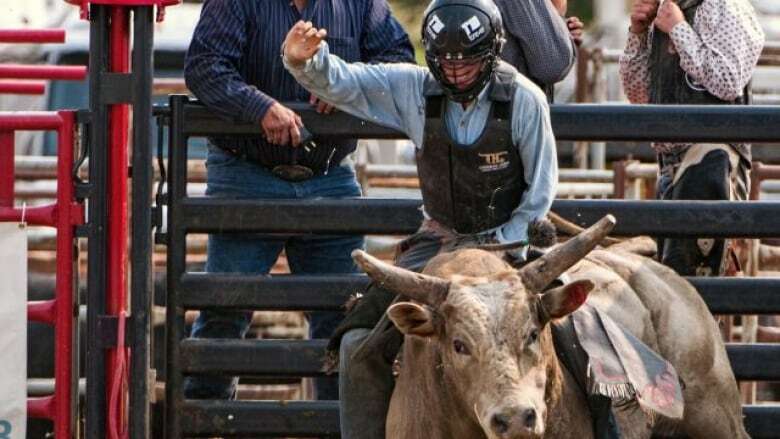 Normally, Fricker said the bulls are held in the chute, mounted by a rider and then, just before the bull is released, a leather strap — called a flank strap — is tightened around its hindquarters. The rider also usually wears boots with spurs. "In our view, the bull is being treated in a very cruel way … it has an unwanted rider on its back. It's being spurred and this flank strap is also causing it distress," Fricker said. "So, to have that already happening and then receive an electric shock in addition to all these things just seems completely wrong to us." No one from the Chilliwack Fair or the B.C. Rodeo Association responded to requests for comment. Cathy Oss, president of the Chilliwack and District Agricultural Society, said in an email response: "The Chilliwack Fair was unaware of the use of electric prods at the Rodeo. We will be contacting the Chilliwack Rodeo Association to investigate." The electric prod shown in the photos appears to be a device known as a "Hot-Shot," which can generate 4,500 volts, according to the Vancouver Humane Society. According to the National Farm Animal Care Council's code of practice, electric prods can be used only to help move cattle when animal or human safety is at risk or, "as a last resort when all other humane alternatives have failed and only when cattle have a clear path to move." Amy Morris, a spokesperson for the B.C. 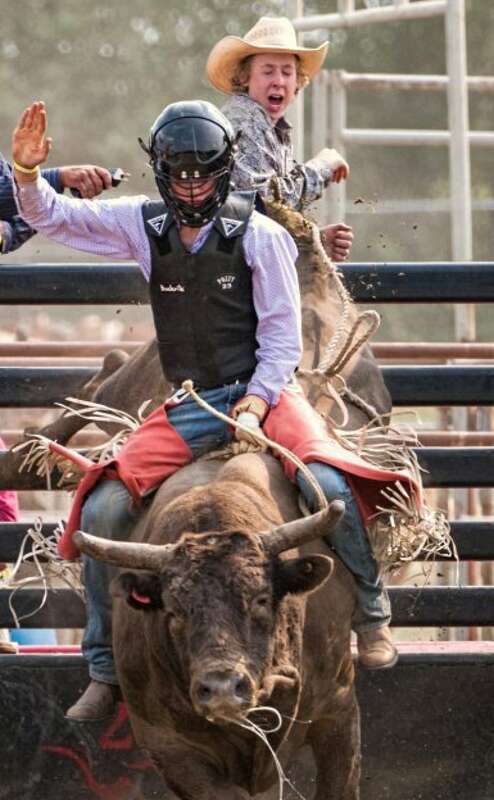 SPCA, said the agency would launch an investigation if someone called its animal cruelty reporting hotline with a specific complaint about the use of an electric prod at the Chilliwack rodeo. She said it is not illegal to own an electric prod but the use of the devices is regulated. "So, it would potentially be illegal if they were not used according to standards and we could demonstrate that they caused suffering," Morris said. "The codes of practice are very clear in Canada for how animals can be handled and the [electric prods] are seen as only a worst-case scenario device, not something that should ever be common practice." The Calgary Stampede's animal care code of practice says electric prods cannot be used "if a bull is loaded and standing in a closed chute." Fricker said the humane society will be making a formal complaint to the Chilliwack Fair. The society is also asking that three other rodeo events be dropped: calf roping, steer wrestling and team roping. "All of these, obviously, subject the animals to fear, pain and stress, and we think that's completely unethical, particularly to do it just for the sake of entertainment."